Malaysia hot weather is as bad as Sahara desert when it comes to not-so-rainy-season. To the extend that, the Selangor dam was lack of water storage. The most worst thing that has happened to Selangor dwellers that people was bringing big water bucket waiting for the water truck to come. That is how bad the Malaysia weather can be. There is one thing is really unacceptable the temptation for an ice cold ice-cream. The statistic was right about Malaysian average were kind of obesity. 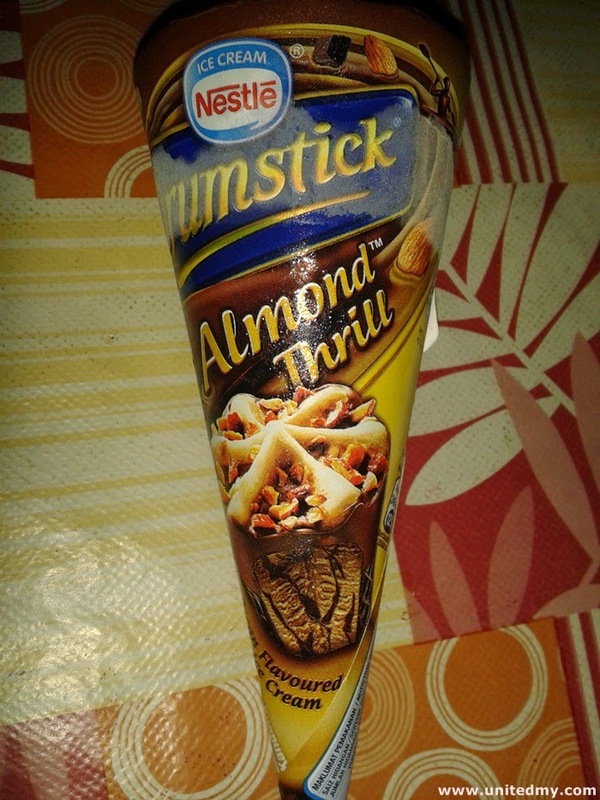 They were having too much Nestle's Drumstick Almond Thrill which is a good thing as Chocolate does make you smarter but not when consuming too much of it. The statistic did not shown an alarming rate of growing obesity among Malaysian may be because looking at our ministers and law enforcers seem like a reflection for all of us. Malaysian generally like to blame on someone else. Who we want to put the blame on the reflection of law enforcers or ministers or the temptation of ice-cream ? 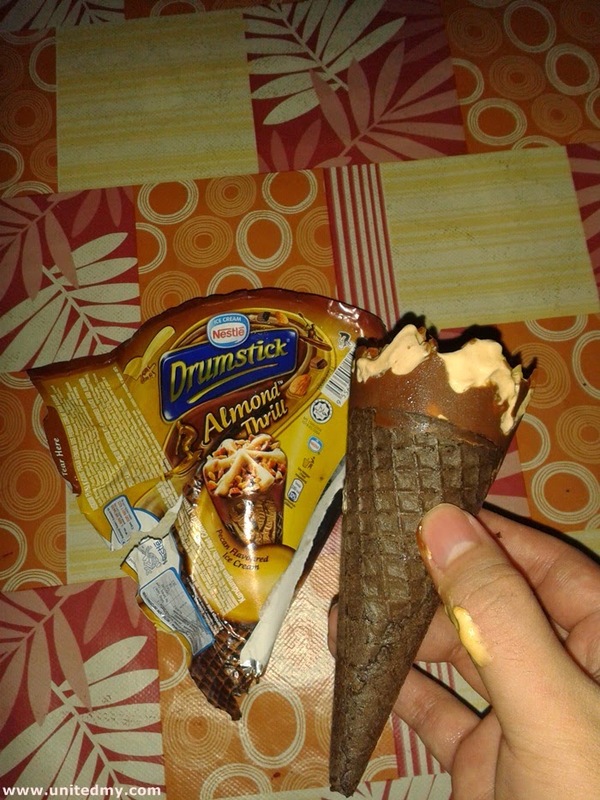 It never too late for Malaysian saying no to ice-cream by imposing sick and fat tummy in every ice-cream label packaging. That would be totally necessary measure as it proved working just looking at the measure taken by Dunhill right ? None of the above are true. All of them are just a joke. I think McDonald's ice-cream is much more sweeter. Ice-cream never too much calories or fat. However, ice-cream has tremendous of carbohydrates. 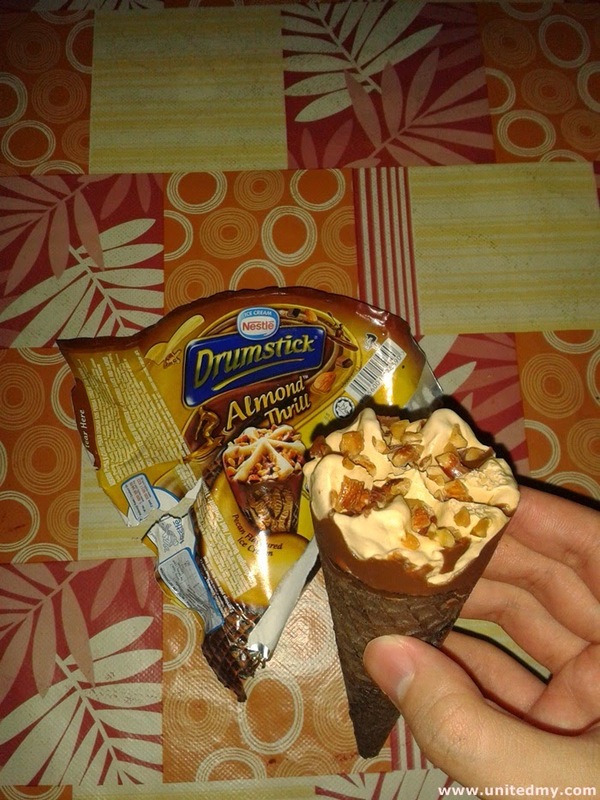 Those who cant consume a lot of carbohydrate needed to stay away from ice-cream. It just a friendly reminder.